The American Political Science Association contacted Prof. Abby Córdova on Wednesday to announce that she and a coauthor will be receiving APSA's Centennial Center grant for their research on female representation in El Salvador. The $1,800 grant from the Women & Politics Fund, associated with the Centennial Center for Political Science and Public Affairs, supplements funding that Córdova previously received through Iowa State University's Carrie Chapman Catt Prize for Research on Women and Politics. It will allow Córdova and coauthor Annabella España-Nájera of Cal State-Fresno to pursue a project that they are calling "Making Decentralization Work for Women: The Electability and Representation of Women in Local Governments." Their research project relies on survey data from three waves of elite interviews carried out among local officials across 100 municipalities in El Salvador, some collected collected before and some collected after implementation of gender quota laws at the municipal level. Experiments embedded in those surveys will allow the researchers to examine how gender inequality might undermine democratic governance. 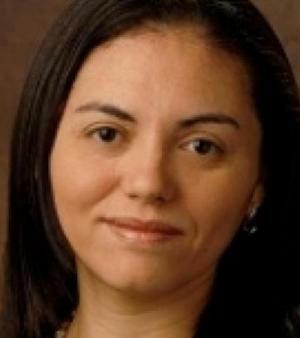 Córdova joined UK's Political Science Department in Fall 2012, after a post-doctoral gig with the institution that granted her Ph.D.: Vanderbilt University. A specialist in Latin American politics, Córdova spent her postdoctorate working with a highly respected survey, the Latin American Public Opinion Project (LAPOP). Córdova returned to UK last year after a stint as Visiting Scholar with Harvard University's David Rockefeller Center for Latin American Studies.